Measures 13.75” x 12” Closed. 13.75”x 24” Open. Printed on archival quality paper. Calendar interlocks with Susan’s other products. Each word in the calendar is calculated, interpreted, and written by accredited international astrologer Susan Miller and is unique, detailed, and accurate. All the advice is given in her easy to understand style. No other astrological calendar exists on the market in this form. Astrology is best used for planning, for astrologers feel there is no predetermination. Having a full year at a glance of all the many planetary aspects will help you to plan your biggest decisions and actions for success. This calendar is chock full of detailed information with both brilliantly positive days and less favorable days listed. Don’t miss knowing about the Luckiest Day of the Year. With your Year Ahead 2019 calendar you can choose the best time for a first date, your engagement, wedding, interviewing for a new position, the closing on a property, defending your thesis, asking for a raise, starting a new job, and more. Use the year’s most sparkling days for your most important initiations. View the outlook for each of the new moons, full moons, and five eclipses of 2019 (due in January, July, and December). The precise degree and sign of each lunation and the outlook for each is explained in clear, warm laymen’s language. New moons affect you for ten days or more after they occur, while full moons will affect you for plus or minus four days from the date they appear. Never again choose a difficult day for any important action. Know in advance when each of the eight planets will retrograde, and hence, become weaker. On that date, you will see when that planet is due to go direct (that is, when it will normalize its orbit and become strong again). By knowing the start and end dates at once, you have no need to page through the entire calendar for that information. Be in the know when a planet and the Sun will move into a new sign. You will also know the date of the two equinoxes and two solstices, as well as when time changes are due in the US. The time zone used is for West coast time. For example, if a full moon occurs at 1 AM in New York, it occurs the day prior in Los Angeles, at 11 PM. At 1 AM you can’t really use the full moon’s energy, as it will be dropping after it peaks, just as you are awaking. If you live in Europe, you have an extra half-day of time to plan, and if you live in Asia, Australia, or New Zealand, you have an extra full day. Readers in South America are in time zones similar to the US. Keep in mind that an aspect is always strongest as it builds and then gradually weakens after it reaches its apex. As you see, everyone, no matter where you live, has time to take advantage of the aspects listed here. The Calendar includes the main religious holidays of the Christian, Jewish, and Muslim religions, as well as holidays of the US, UK, and China. The theme of Susan’s 2019 calendar is Women of the World, depicting beautiful, fashionable women in a variety of locations—Los Angeles, California; Rio de Janeiro, Brazil; Istanbul, Turkey; Barcelona, Spain; Paris, France; New Delhi, India; New York City; The Great Wall, Beijing, China; Munich, Germany; The Outback, Australia; London, England; Mexico City, Mexico; and The Pyramids, Cairo, Egypt. The women are of every ethnicity and depicted not as tourists but as natives of their respective countries. The vibrant, colorful artwork is warm, engaging, cheerful, and very beautiful. All fourteen (14) pieces of art are original and created by the esteemed French artist, Izak Zenou, who now lives in New York City, and is represented by agents in Paris, Japan, and New York. Meant to work with Susan’s website, Astrology Zone®, you will have advance notice of the key dates that Susan will discuss in depth in her free reports. Meant to work with Susan’s website, Astrology Zone®, you will have advance notice of the key dates that Susan will discuss in depth in her free reports. All of Susan’s work interlocks with her other products. For example, you can you use your calendar along with Susan’s monthly forecasts, jotting your own notes next to Susan’s on your calendar as you read in her monthly report. 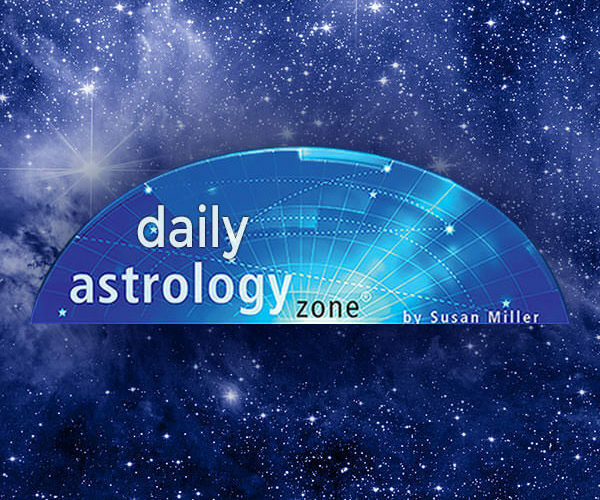 You can also use your calendar along with her detailed app “Daily Horoscope Astrology Zone by Susan Miller” available on the Apple App Store and Google Play, or her email subscription service, DailyAstrologyZone.com offered on her site. (These are the same forecasts as those offered on Susan’s app, delivered a different way.) In her daily reports, Susan will amplify and further define the planetary activity that you see on your calendar. The calendar includes 13 months, running from January 2019 through January 2020. You will enjoy the rich saturated colors and finest inks used, on heavy matte paper stock. The art and quality of the printing makes this calendar a standout. This is a collectable, so when supplies are gone, there will be no reprints. When the year is over, you can save your favorite art pieces by having those pieces matted, framed, and perhaps one or two given to a friend. This makes a beautiful, thoughtful, and inexpensive gift, with unique artwork that depicts her sign. Readers like you thought of this idea and suggested this to us. The price of the calendar is $24.99 plus shipping. We are required to add sales tax if the destination of your package is to an address in New York State. Your calendar will be shipped in a sturdy, 12 ¾ x 15 inch white cardboard envelope to ensure that your calendar will arrive in pristine condition. Choose whether to send it to your or home or office. The label and return address will bear the name of a professional fulfillment house in Pennsylvania who will send you your order, and if it comes back, the fulfillment house can quickly be in touch to check the address you gave us. All orders to United States addresses will be shipped via Priority Mail of the United States Post Office. We also ship internationally. If you live outside the US, orders will be shipped by FedEx to ensure safe and quick delivery. We do not offer free shipping, for we would have to raise the cost of the calendar substantially. Susan’s calendar is written, edited, and printed in America. Available only on Astrology Zone.com, The Year Ahead 2019 Astrological Calendar will not be offered for sale in the large bookseller chains or their websites. We support independent booksellers. Write to us at [email protected] for information about wholesale costs on orders of 15 or more calendars. We are sorry, we cannot accept orders on consignment.